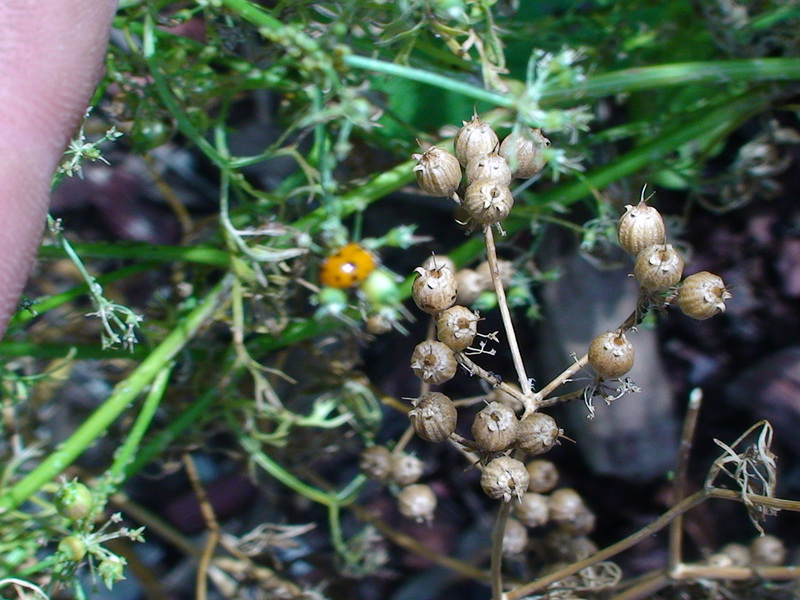 Many common garden herbs are known to attract beneficial insects. A more obvious part of their “insect magnetism” comes from their ability to produce small flowers that produce nectar that is accessible to smaller, short-tongued solitary bees and wasps. Some gardeners say that certain plants emit odors or have chemical signatures that are also attractive to certain insects. From the point of view of what is readily observable to someone without having to scour through reams of plant research, you can frequently observe tiny aphids that inhabit the stems and leaves of plants like cilantro. While most gardeners likely believe that aphids have no place in a well-tended garden, their presence alone makes one wonder to what extent aphids play in helping to make certain plants “attractive” to beneficial insects like ladybeetles, lacewings, and hover flies. If aphids are part of what makes plants attractive, then they make a strong argument against the conventional (and human-centered) wisdom that insists there is such a thing as “good” and “bad” bugs. 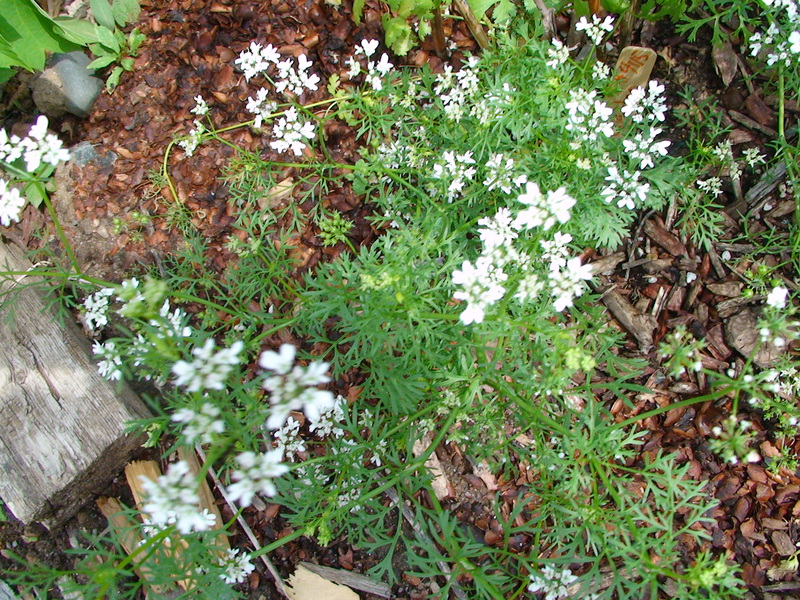 Cilantro flowering even in the midst of being colonized by tiny aphids. For seed savers, it is interesting to note that this plant was still able to go to seed while being colonized by aphids. 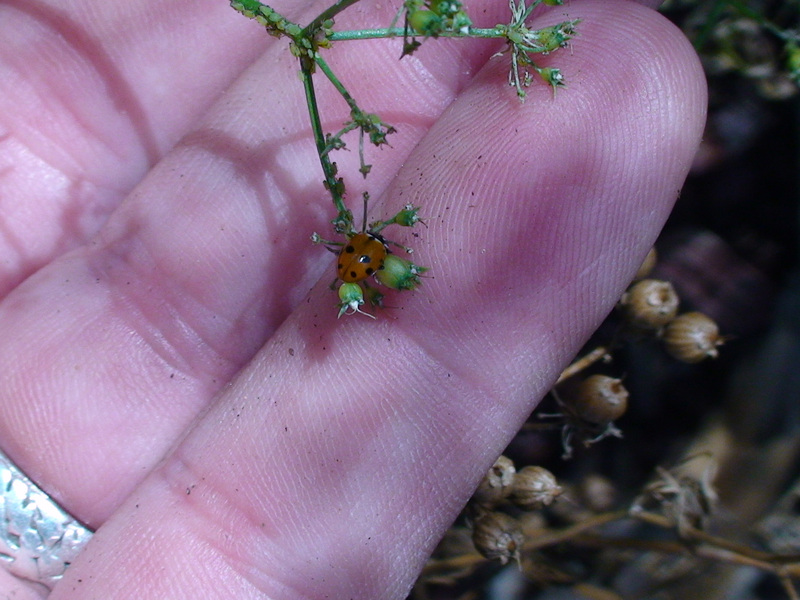 The ladybeetles is just one example of a beneficial insect that needs aphids to complete its life cycle.